« Flying Ace Express: Seajay Grand Opening Free Wash Week! 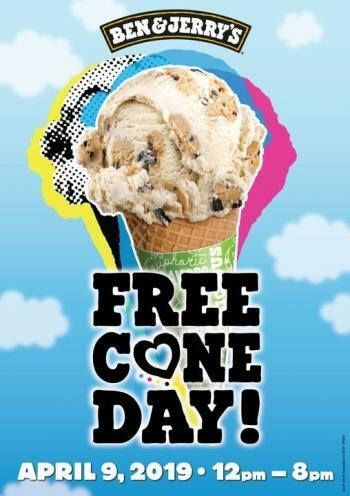 Today the company sells its euphoric chunks and swirls in 38 countries, and Free Cone Day is celebrated in Scoop Shops around the world. More than 1 million scoops will be given away on April 9, from classic Cherry Garcia to new favorites like Wake & “No Bake” Cookie Dough Core. Ben & Jerry’s first claim to fame, Chocolate Chip Cookie Dough, is now available in original and non-dairy versions, so there’s something for everyone. Ice cream lovers who find themselves in a cone-undrum over which flavor to choose can simply get back in line a second (or third, or fourth!) time.